-Shattered by Teri Terry: so this is one of those series I talked about in this post... I keep hearing amazing things about it, I just really need to start reading it! -Banished by Liz de Jager: so fae aren't really my thing, but this sounds SO GOOD! -The Shadow Throne by Jennifer A. Nielsen: this is also one of those series that I own complete but haven't started yet. And it sounds like a me kind of series, so I should get it together and start it soon! -Perfect Lies by Kiersten White: I really liked Mind Games and am excited to see what will happen in the sequel! -Fates by Lanie Bross: YA MYTHOLOGY YESSSSSS! -Split Second by Kasie West: EEEEEEEE! EXCITEMENT! Seriously, I NEED this book, because holy crap, the ending of Pivot Point?? KILLING ME! So I'll make time to read this soon. 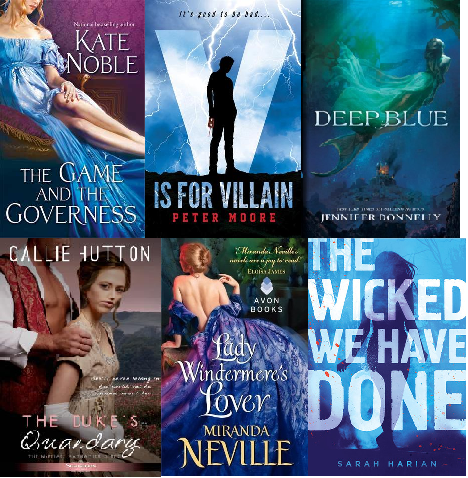 -The Game and the Governess by Kate Noble: I've been meaning to read one of Kate Noble's historical romances, because they sound really good! -Deep Blue by Jennifer Donnelly: I love her historical fiction, I'm curious to see how she'll handle this genre! -Lady Windermere's Lover by Miranda Neville: a marriage of convenience! I'm expecting sparks! -The Wicked We Have Done by Sarah Harian: an obstacle course and if you make it through you're declared innocent! SERIOUSLY. This is both scary and exciting! Split Second. *squee* I'm so dying to get my hands on that one! So many other great books, too! I don't wan't any of this books (I´m for spain! :D). I did not finish Fates, I heard some great hype for it, so I started, but wasn't fully able to see why so many people liked it as much as they did. It just didn't have any draw for me. All of your bought books in the first picture are on my TBR list (along with so many others, Ah!) There are just so many good books out there and so little time! Split Second is fantastic! Hope you love it!!!! I've been seing Kasie West's book everywhere. I haven't read anything from here, but I do have my eye on her books, so I will read them in the near future. Enjoy your books! What a great haul! 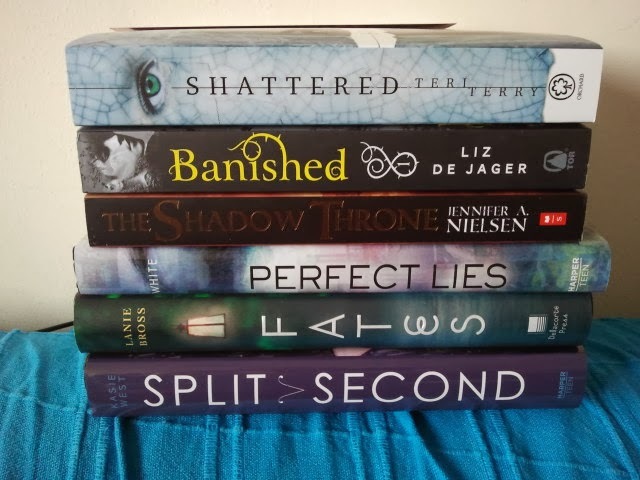 I really want to read Split Second and I'm in reading Fate right now!I hope you enjoy all of your new reads! Fabulous books! I've heard great things about Split Second, and Fates was a good story. Wow! Lots of great books. Enjoy. But Shattered isn't out until March 6?